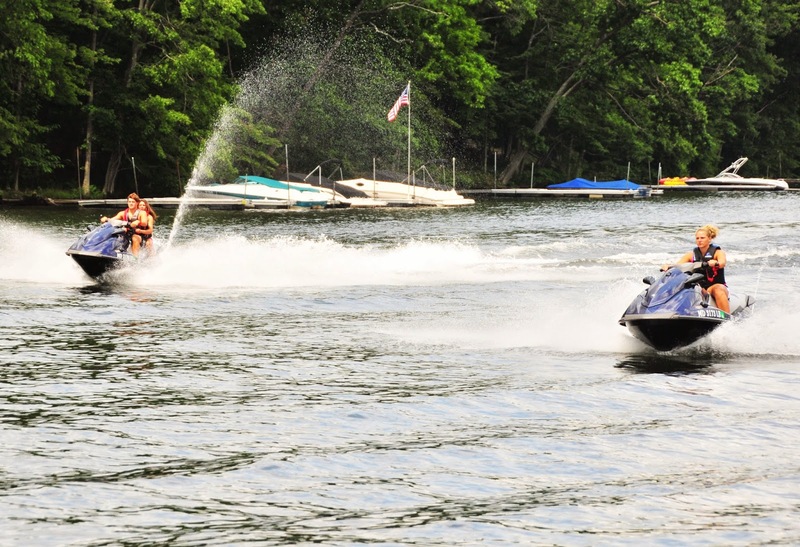 Your family is planning their first family reunion to Deep Creek Lake and it’s of the upmost importance that you find the ultimate vacation home that can please everyone in your group. Seems intimidating doesn’t it? It doesn’t have to be! 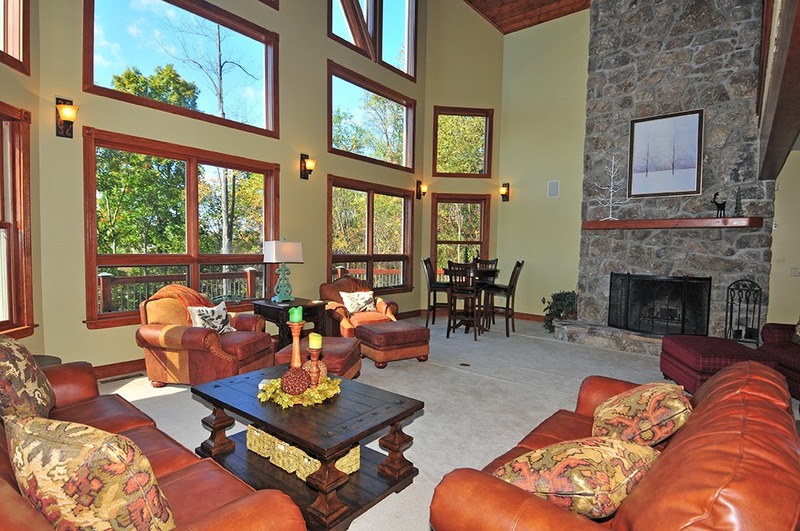 When you call us here at Taylor-Made Deep Creek Vacation & Sales (1-866-351-1119 or online www.deepcreekvacations.com), we do our best to find you the home that will happily host your get together. 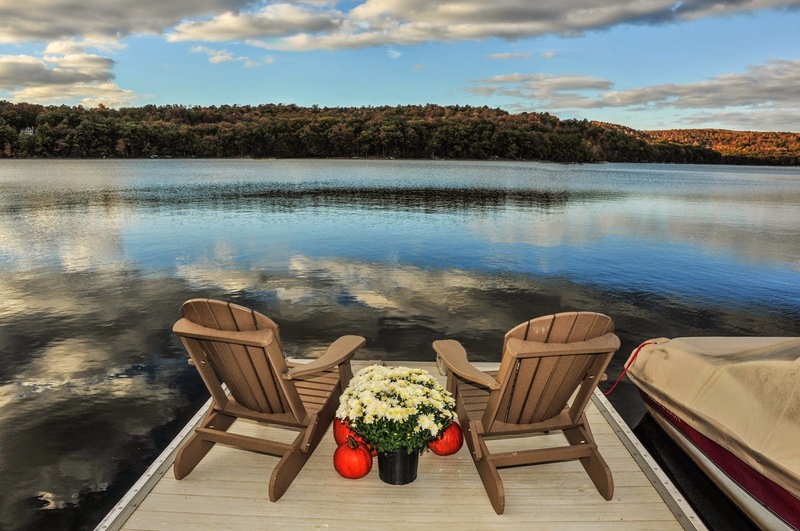 A new home on our vacation rental market, Cherrie’s Jubilee, is a premiere Deep Creek home that definately has something to offer everyone in the family. Pulling up the driveway, you will immediately notice the beautifully manicured lawn and outdoor space (Yes, 4WD is required in the winter season!) but the real delight is when you step inside and bask in the sheer beauty of the expansive Great Room. Highlighting vaulted cathedral ceilings, an impressive stone fireplace, luxurious furnishings, and oversized pictures windows, you will instantly know that this is going to be a favorite gathering space for you and your loved ones. The chef in the family will fall in love with this superb, overly stocked kitchen which features all stainless steel appliances, 2 ovens, and gorgeous granite countertops! Everyone will love pitching in to help at meal time! 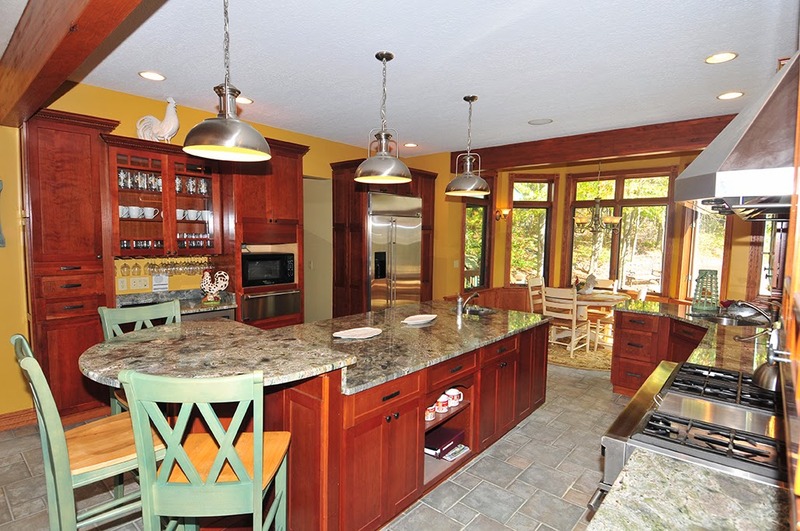 Share mealtime around the dining room table or take the meal outdoors and picnic on the large wraparound deck as you enjoy spectacular lake and mountain views. The kids will love hanging out in the lower level Family Room whether they are playing pool, ping pong, board games or watching a favorite movie, you will never hear the words “I’m Bored!” If that’s not enough, send them out to the garage for a fun game of indoor basketball. 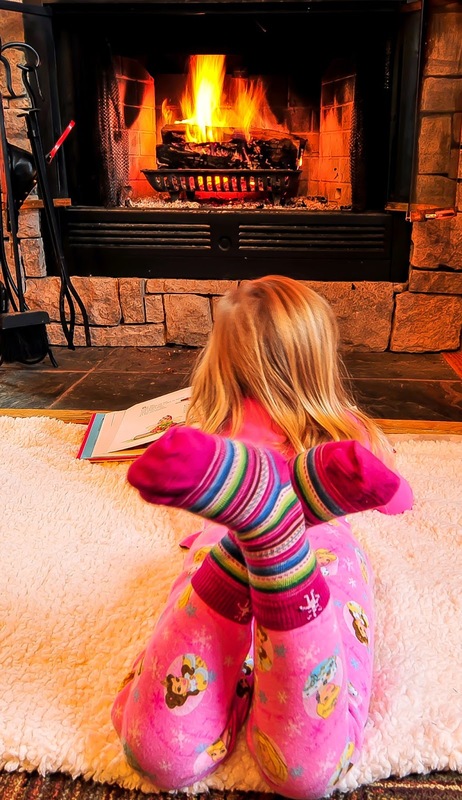 For those that want to relax and unwind, take a dip in the bubby outdoor hot tub or grab a favorite book and cuddle up in front of the wood fireplace! This home is also perfectly located just minutes from Wisp Resort for those that seek wintertime adventure and is also just a short drive from state parks, Smiley’s Fun Zone, Funland, area marinas, shopping and dining. Don’t let the stress of planning your next family gathering get the best of you! We do have the perfect home for you. Don’t need something quite so large? That’s not a problem either as we offer everything from a charming one bedroom cottage to an 8 bedroom lakefront home with a private indoor pool! Fall @ Deep Creek Lake! As we continue to head further into fall, now is the ideal time to get away for a last minute weekend trip to Deep Creek! Take advantage of our many weekend specials or don’t forget that we are now offering a 3 night stay for the price of 2! Call us and let us help you plan your family reunion at Cherrie’s Jubilee or another one of our amazing homes. We can’t wait to see you at the lake!